I go to Adoration so I can breathe again. It’s easy to get lost during the day. Between the demands of a busy college student schedule, and the fallen state of my being, it’s easy to fall away from how I desire to live. Instead of being wholly present, I devolve into anxious and restless thoughts. Rather than giving of myself, I seek my own glory. In front of classmates, friends, and strangers, I close my heart to encounter. I desire to be free. I want to love others well. I want to receive each moment as a gift, and to respond with gratitude. I know what it’s like to encounter God. I’ve met Him, and I want to always live with the joyful awareness of His presence. But I cannot live with this awareness on my own. I am forgetful. No matter how many “good intentions” I set, no matter how much I seek His face, no matter how much I try to adhere to what I desire, I cannot control my reality. I can’t produce the encounter with God. I may see clearly for a moment, but it does not last. All it takes is something unexpected – stress, sickness, failure, distraction – and all of my plans crumble. The only thing left is my misery, my need. And in that moment, I realize that the way I can approach life is through begging. I must beg to be free. I must beg to be reminded of Him whom I have encountered, to know and to fall in love with Him always more. And the miracle is this: Christ, too is a beggar. He begs for my heart, just as I am begging for His. Even before I believed in Him, He was dwelling within my heart and inviting me into relationship with Him. All that He asks is that I turn to Him, show Him my need, and receive His love. 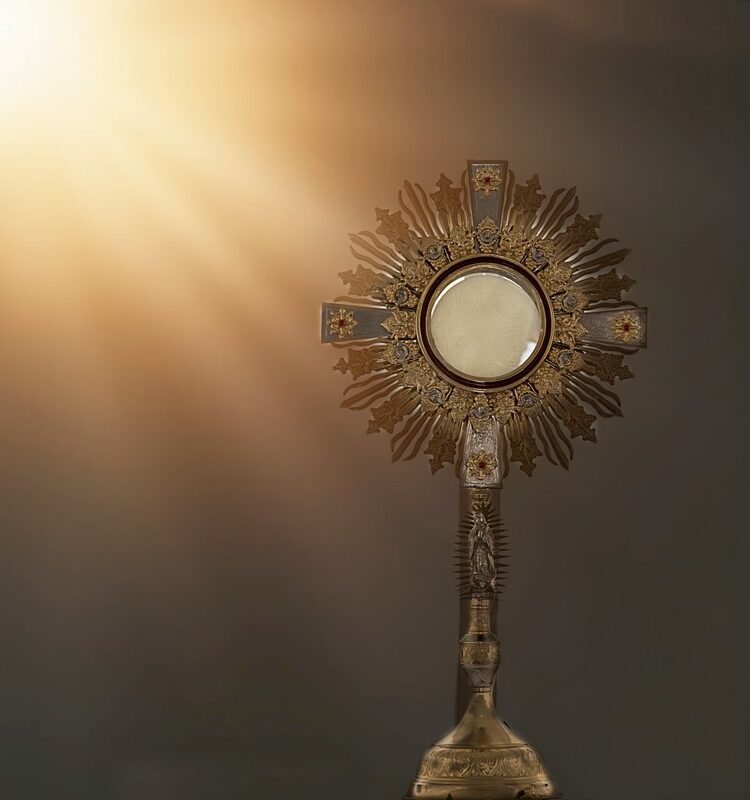 There is no better place to encounter Him than in the Blessed Sacrament, the Eucharist. In front of His physical presence, I am reminded of His unconditional love and boundless grace. Through prayer, Christ invites me to surrender and to practice dependence on Him. And in adoring Him, I can breathe again. Adoration isn’t the only place I can breathe. The gaze of my friends reawakens me, too. They look upon me according to who I really am, and help me live every factor of my reality. Likewise, encounters with those who are suffering reawaken me, reminding me of my own brokenness and Christ’s mercy. Perhaps most strikingly, beauty reawakens me: I can breathe in front of a dawning sun, or listening to the soaring melodies of Sibelius’ violin concerto. But prayer, in particular, changes everything. Prayer – dialogue with my Beloved – allows me to live with a joy and a strength that would otherwise be impossible. Prayer cultivates my intimate friendship with the Lord, so that it is no longer just me, but Christ living through me. And here, I am truly free.